What a difference a week makes in terms of running gear. I now have a fully functional running watch (Garmin FR60) that's a real improvement over the 50 that it replaced. 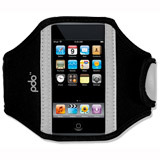 I bought a new PDO iPhone armband that seems much more durable than the iLUV model that fell apart after only being used a few dozen times. Most importantly, our Sole treadmill belt slip issue has been fixed so I can now run at faster speeds without worrying about straying too far right on the belt tread. Ironically, I'll need to wait until after Sunday to try out the repaired machine because I'm not planning on doing any running until 8:30 AM on Sunday. I've been thinking about my racing strategy and I looked to my post about last year's event to help prepare me for the conditions. The thing I worry about most is THE BIG HILL. It took me by surprise last year and I clearly had not done the right amount of training to prepare me for the length of this monster (1/2 mile). I've done a fair number of hill runs over the last month and I'm hoping this conditioning has prepared me for what's to come. In the six races I have have run since last year's Marcie Mazzola race I have learned to moderate my pace for the first mile and not get sucked into the stream of fast moving early starters. I expect to be fatigued somewhat from the hill so I'll conserve more energy than the last time I did this race. 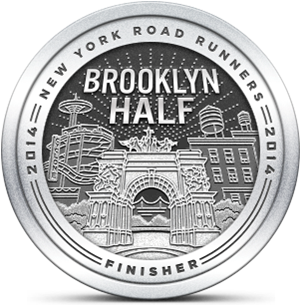 This year the race distance is 5K, not 4 miles, so I'm hoping to push the speed a little more near the end. I anticipate that temperatures will be in the high 40's to low 50's at start time so I'm planning to run in short sleeves and racing shorts. Heat is my (and most people's) kryptonite so I'll do everything I can to minimize that issue. Am I over thinking my strategy? Should I just get out there and run and figure it out as I go? It's hard to say whether a defined strategy makes big difference. I know that in business, when I do a public presentation, the work I do to prepare always pays off and things sometimes go badly when I wing it. I've had more negative racing experiences when I failed to think through the the various elements: weather, course, pacing, etc. I prefer to error on the side of over-strategizing and I'll know soon enough whether it made a difference. How was parking - is the Y providing or did you have to hunt around? I know there's a large public lot not too far from there. And were there lots of restrooms? Thanks - good luck to you as well. You can park on the grounds of the Y. I'd suggest that you get there at least 45 minutes before race time because the main lot will get full by 8:00. There are other lots close by and they were also full by the time we started. The main building was open to participants so there are real restrooms, not porta-potties. It is a short walk from the registration area, not too bad.